Dundee has been named the UK's first City of Design by the United Nations. The city has been recognised by Unesco for its diverse contributions to fields including medical research, comics and video games. The City of Design designation has previously been awarded to 12 cities, including Beijing, Berlin and Montreal. 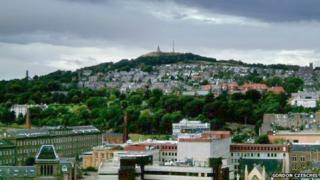 Dundee was added to the Unesco grouping of "creative cities" alongside European cities Turin, Helsinki, Bilbao and Curitiba in Brazil. The title recognises the design innovations Dundee has contributed to the world, including aspirin, biomedical research which has led to hundreds of new cancer drugs, comics including the Beano and Dandy, orange marmalade, and video games including Lemmings and Grand Theft Auto. The city's waterfront is also undergoing a 30-year, £1bn regeneration project including the V&A Dundee museum of design. Fiona Hyslop, the Scottish government's culture, Europe and external affairs secretary, said the "prestigious" award was "richly deserved". She said: "This accolade further strengthens the city's growing reputation as a hub of cultural and creative excellence and an international centre for the creative industries." Dundee City Council leader Ken Guild added that the status was "truly international recognition for Dundee's innovative design sector". Other cities awarded the City of Design status by the UN's cultural arm include Buenos Aires, Shanghai, Seoul, Nagoya and Saint-Etienne. Edinburgh was the world's first Unesco City of Literature, while Glasgow holds the City of Music designation.